For the first 6 months of my pregnancy, I was determined that I was having a boy. Nothing inside of me ever thought I would have a girl. First, I am the only girl and the youngest in my entire family, cousins and all. Secondly, Grayson came from a family of all boys, so the odds were already against us for a girl if you look at it like that. If you look at it from a 50/50 point of view, of course, we could have a girl. It took me a few weeks to get used to the fact that a little girl was coming in November. What is making this more real, other than my expanding belly and the evolving nursery, is that fall clothes are coming out and they are so fab right now for little girls. 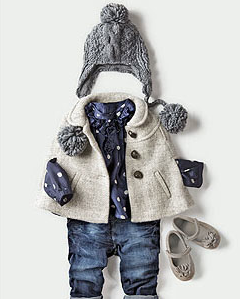 From Crew Cuts, to Zara Baby, to Gap Baby, all of the new clothes are so adorable! Who knew that they make faux fur vest for new borns!? I think I'll talk one of each for Tilley Gray! If I could....keep your baby girl a little girl. I am the mom of two girls and trust me - they grow up quickly! (they are leaving for college in just a few short days). I think dressing them like teenagers really rushes them through their 'baby' years. While I don't subscribe to keeping them babies, it always makes me sad when I see little girls dressed like teenagers/young adults. That time comes quickly enough! That's just my opinion. I hope I am not out of line! Oh my gosh- Tilley Gray is going to be the best dressed bundle on the block! 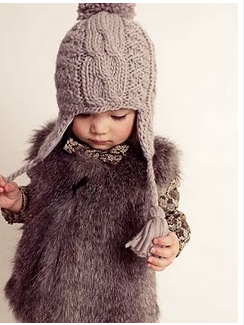 I'm especially loving the baby faux fur vest. TOO CUTE! Hope you're feeling well and fared well during Irene! Thanks Lindsey and Talia for your comments! It's always great to get opinions of friends and other moms when it comes to kids! I assure you that Tilley Gray will be a loved little girl first and foremost and I agree that little girls grow up too quickly now. I'll be sure to cheerish the smocked bubble dresses and onesies as long as possible. Thanks again for reading! 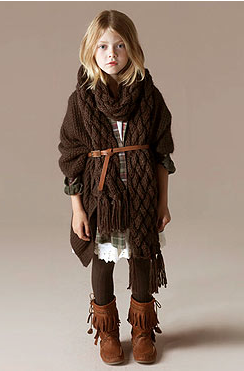 Little girls are so fun to dress!